Once upon a time there was the old Hotel Mezdì. 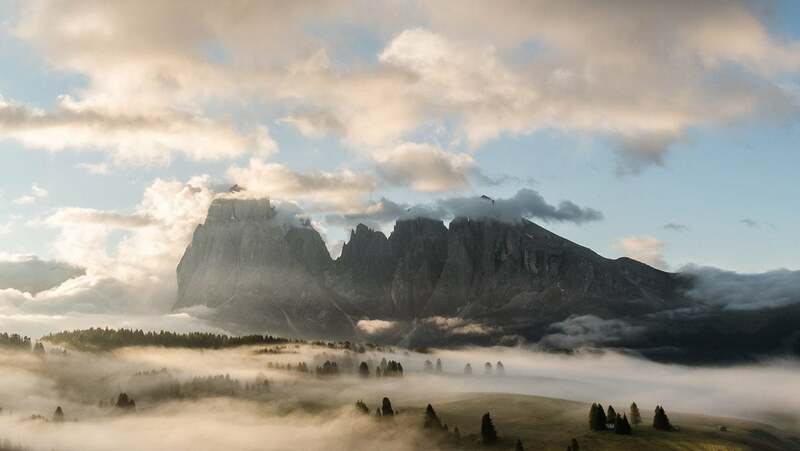 In 1935 a cable way – one of the first in the Dolomites – was built from Ortisei to the Alpe di Siusi. 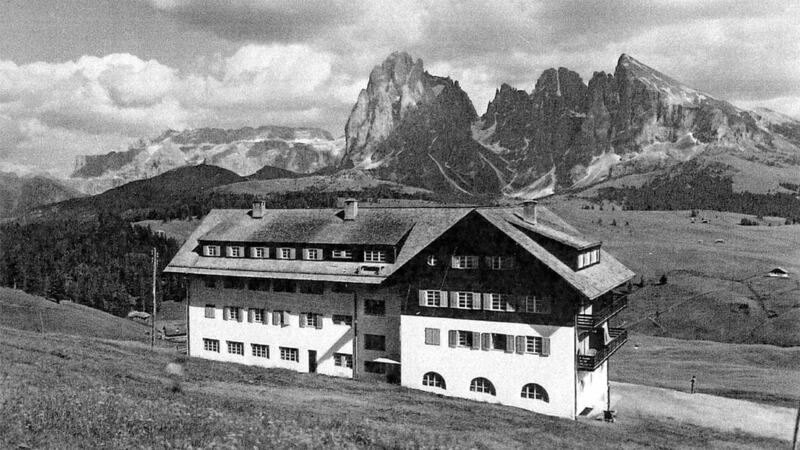 Three years later, in 1938, the construction of the Hotel Mezdì followed, below Col da Mezdì (Midday Peak) by the Höglinger family of hoteliers in Ortisei. After the Second World War, the hotel quickly became popular with both summer and winter visitors and famous for its magnificent views. It was frequented by VIPs like Konrad Adenauer, first Chancellor of the Federal Republic of Germany, who came with his family and found the tranquility and relaxation for which he was searching. At the end of the 1970s, the hotel was sold. The golden age of the Mezdì ended; the hotel was in a state of deterioration, and satisfied neither visitors’ growing expectations nor the statutory requirements. A complete refurbishment was needed.